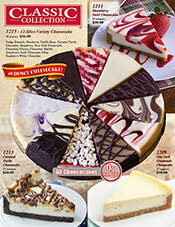 Deliciously rich creamstyle cheesecakes in the most popular selling flavors. Believed to have originated in ancient Greece, cheesecake is truly a timeless dessert for the ages! This is great fundraiser, especially just before the holidays. Give us a call to see how much your group can make! Nationwide delivery. 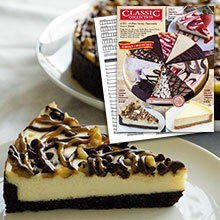 Classic Cheesecakes are also available in our variety brochures. A great option if you want a variety of items for your fundraising supporters to choose from.